The sweltering Manila weather is forcing people to wear shorter and fewer pieces of clothing. 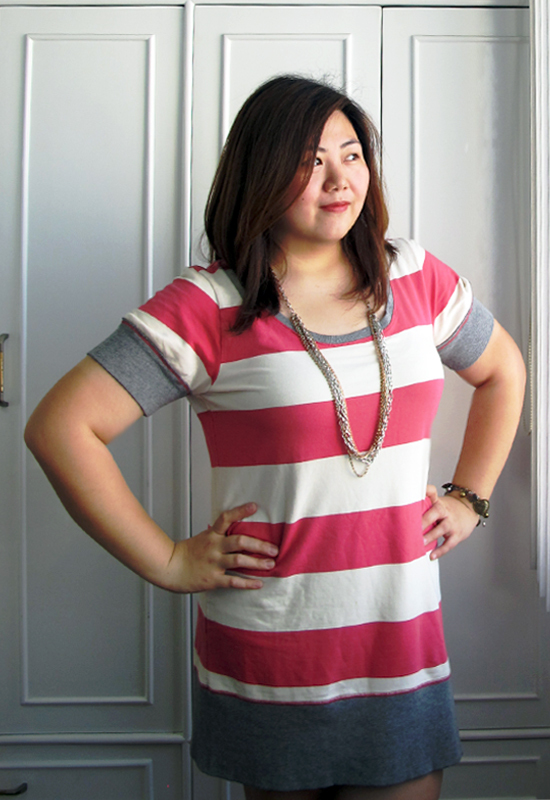 Hence, the pink, gray and cream striped dress I'm wearing from Gap. 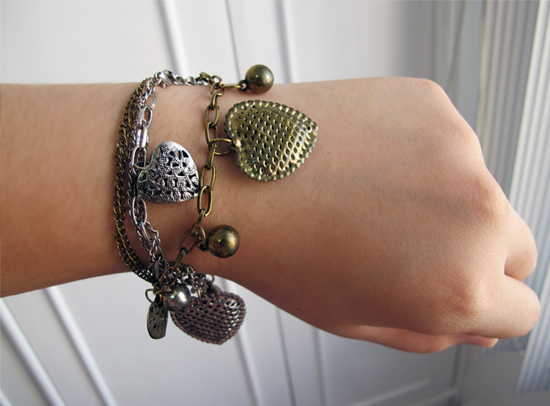 I wore it for a casual lunch meet-up and decided to add a little "oomph" with some gold and silver accessories. People have been commenting on my sudden "makeover," but my mom insists I have been "maarte" (sort-of-vain) since birth but just didn't have the confidence, tools and equipment to show it. (When talking about tools and equipment, she means clothes, shoes and accessories that fit.) Who knows me better than Mom right? My sister is lucky that I dress her up to almost every event she goes to, but now she often gets impatient because now that I actually care about the details of my outfit, I have to dress up first before I attend to her. Haha! 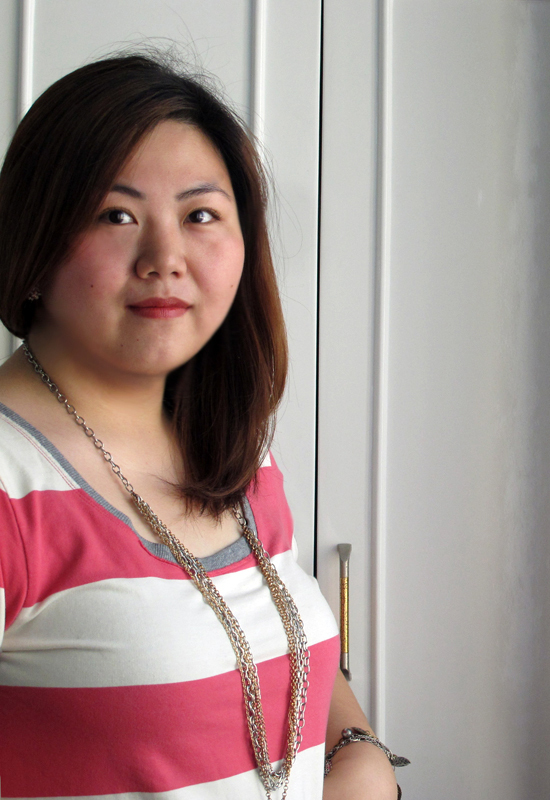 The weather is Italy is warmer too, and I love the way you wear stripes with accessories, this bracelet is so cute!!!! How come combining silver and gold looks good on you? Sa'kin hindi! Hahaha! Anyway, I'm intrigued how your flats look like. My first pair from Payless happens to be platforms, I've never really surveyed their flats. Are they nice? I've bought three flats from Payless and they're ok naman. One's not too comfy pero cute ng print so I bought it anyway. Haha!